Grr Dog Training does not knowingly collect Personal Information from users who are under 13 years of age. 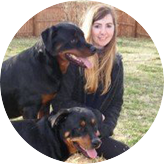 Grr Dog Training will have access to third party personal information provided by you as part of using Grr Dog Training Services such as contacts in your Grr Dog Training Mail account. This information may include third party names, email addresses, phone numbers and physical addresses and will be used for servicing your requirements as expressed by you to Grr Dog Training and solely as part and parcel of your use of Grr Dog Training Services. We do not share this third party personal information with anyone for promotional purposes, nor do we utilize it for any purposes not expressly consented to by you. When you elect to refer friends to the website, we request their email address and name to facilitate the request and deliver a one-time email. Your friend may contact us at [email protected] to request that we remove this information from our database. We post user testimonials on our website. These testimonials may include names and other Personal Information and we acquire permission from our users prior to posting these on our website. Grr Dog Training is not responsible for the Personal Information users elect to post within their testimonials. Your usage details such as time, frequency, duration and pattern of use, features used and the amount of storage used will be recorded by us in order to enhance your experience of the Grr Dog Training Services and to help us provide you the best possible service. We use the Internet Protocol address, browser type, browser language, referring URL, files accessed, errors generated, time zone, operating system and other visitor details collected in our log files to analyse the trends, administer the website, track visitor’s movements and to improve our website. We link this automatically collected data to other information we collect about you. We use temporary and permanent cookies to enhance your experience of our Grr Dog Training Services. Temporary cookies will be removed from your computer each time you close your browser. By selecting ‘keep me signed-in’ option in Grr Dog Training Services, a permanent cookie will be stored in your computer and you will not be required to sign-in by providing complete login information each time you return to our website. If you have turned cookies off, you may not be able to use registered areas of the website. We tie cookie information to your email address when you elect to remain logged in so as to maintain and recall your preferences within the website. Technologies such as: cookies, beacons, tags and scripts are used by Grr Dog Training Corporation and our partners [such as reseller partners], affiliates, or service providers [such as analytics service providers]. These technologies are used in analyzing trends, administering the site, tracking users’ movements around the site and to gather demographic information about our user base as a whole. We may receive reports based on the use of these technologies by these companies on an individual as well as aggregated basis. We partner with third parties to manage our advertisements on other sites. Our third party partners may use technologies such as cookies to gather information about your activities on this site and other sites in order to provide you advertising based upon your browsing activities and interests. If you wish to not have this information used for the purpose of serving you interest-based advertisements. However, you will continue to receive generic advertisements on other websites that display advertisements. We adopt industry appropriate data collection, storage and processing practices and security measures, as well as physical security measures to protect against unauthorized access, alteration, disclosure or destruction of your Personal Information, username, password, transaction information and data stored in your user account. Access to your name and email address is restricted to our employees who need to know such information in connection with providing Grr Dog Training Services to you and are bound by confidentiality obligations. Users who wish to correct, update or remove any Personal Information including those from a public forum, directory or testimonial on our site may do so either by accessing their user account or by contacting Grr Dog Training Customer Support Services at [email protected]. Such changes may take up to 48 hours to take effect. We respond to all enquiries within 30 days. We provide the capacity for users to post information in blogs and forums for sharing information in a public space on the website. This information is publicly available to all users of these forums and visitors to our website. We require registration to publish information, but given the public nature of both platforms, any Personal Information disclosed within these forums may be used to contact users with unsolicited messages. We encourage users to be cautious in disclosure of Personal Information in public forums as Grr Dog Training is not responsible for the Personal Information users elect to disclose.